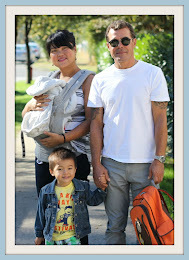 east van baby: French Kids Eat Everything?! 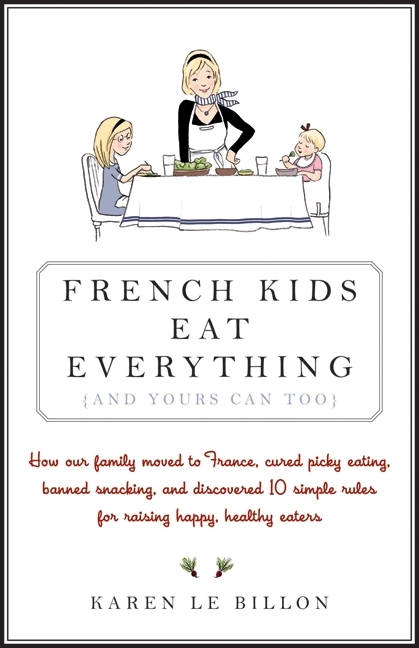 You've probably heard of this book called, French Kids Eat Everything. Karen LeBillion shares 10 rules that she learned from the French on how to raise happy, healthy eaters. Although Max is eating plenty, sometimes i feel like im feeding him the same exact thing- or at least same exact ingredients daily because they're reliable aka he will eat them without fuss. am i exposing him enough to enough variety? if he doesnt like his meal and doesnt eat, do i wait until he does eat it (which could be hours) or prepare what he likes as backup so he gets SOMETHING to eat? will the above cause him to become a picky eater and not try new foods because he knows mama will not let him starve and give in to what Max really wants? maybe this is a developmental thing and we should just go with the flow? 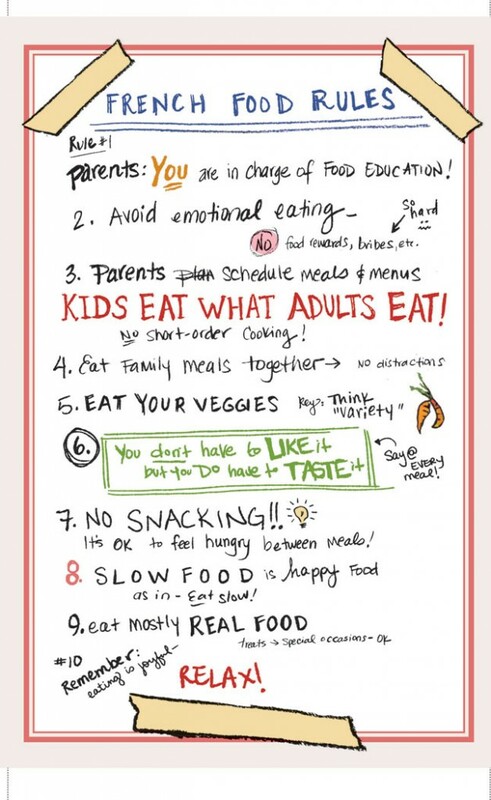 Stuff like that floats around in my head y'know just because i can't stand picky eaters, and hell no do i want to raise one. In my childhood, we ate what was on our plate and finish it or id get the "you're lucky you have something to eat, there are kids around the world who have nothing to eat" guilt trip. Honestly it worked, i love food. Though i have my share of likes and dislikes (ie. bittermelon), im willing to try new things, but i hate that guilt trip tactic and dont want to follow the same suit in my household. im still on the fence about this because im not going to let Max go hungry if he's not wanting to eat the meal we have cooked. im good with giving him bits and pieces of the foods we have prepared and something he would normally enjoy. at least i know he will eat and have tried something new. Definitely still a work in progress. in an ideal world this would be awesome, but as a shift worker this isnt always possible, but we try. 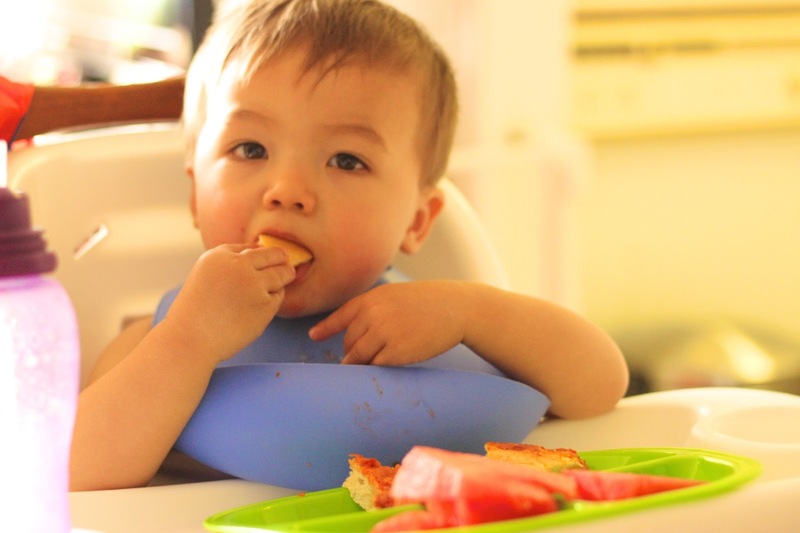 i do notice that Max eats the most when he uses his utensils and eats something that resembles what we are eating..thank goodness for multiple days off! with this rule, we have made dinner being the meal we put the most effort in eating together as a family. eat veggies as a first meal? that's a cool idea. Max is all about peas, carrots, and corn right now- as in the frozen variety, so im not complaining too much as veg is veg. when he's older, perhaps we can introduce the salad. 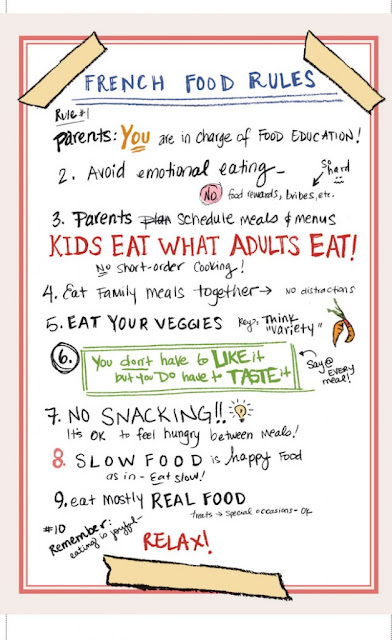 kids are definitely the hungriest at the start of each meal and of course will eat more of what is in front of them. i read this mom's story where she waited for 3 hours for her toddler to finish his meal. like CIO Eating instead of CIO sleeping. super sad and totally not something i would ever do. eating is messy fun, we joke at the table, we have fun plates and utensils, we socialize. whatever it takes to create the positive environment right? You know, we did cater to our first child a bit more and he is a somewhat picky eater. 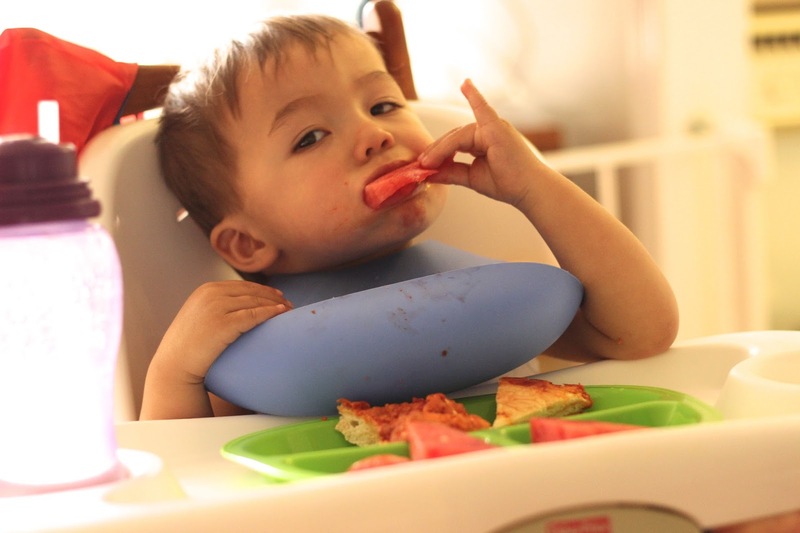 He does eat more things than a really picky kid would but he is not super adventurous and there has been struggles to try new foods. Now our second is way more into trying everything and anything and will impress you with her ability to eat whatever food she gets. She loves it all and embraces new foods. We also totally do rule #4. Great rule at family dinners together. Some of the advice in that list is good--I think the hardest thing about this (& every other parenting issue/decision) is that every kid is different. They all need a slightly different approach. 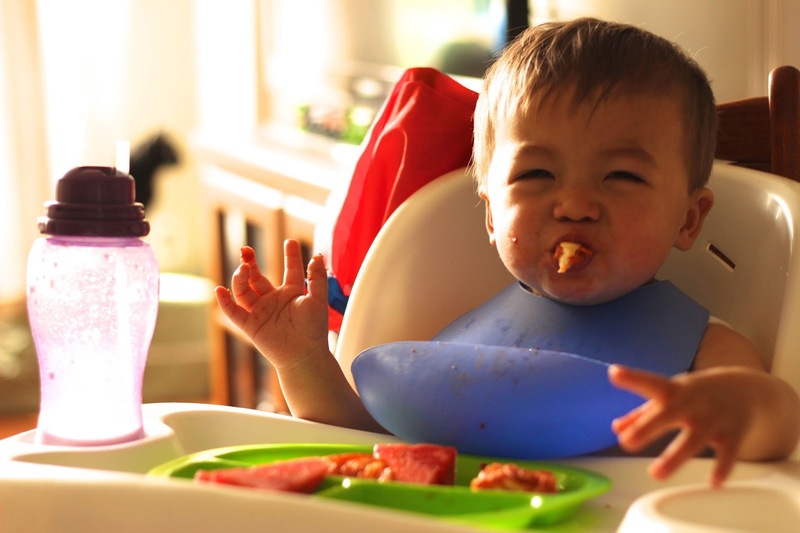 We did Baby Led Weaning with our son, who's now nearly three. He's the least picky eater of any child I know. There isn't really anything he's consistently refused to eat. That said, he won't always eat leafy things & he will occasionally refuse to eat something that I know he likes. But in general, we can just feed him whatever we're eating & that's exactly what we've been doing since he was a year or so old. Between six months & a year, we made some modifications to avoid choking hazards or things he just had trouble getting into his mouth (soup, anything with small bones, small hard things like nuts, you know, the usual). Found your blog through the Top Blogger Competition. 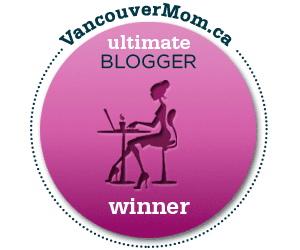 Will I see you at the big Vancouver Mom shindig tonight? I'll be one of the Ambassadors at the door--hope to connect in person!